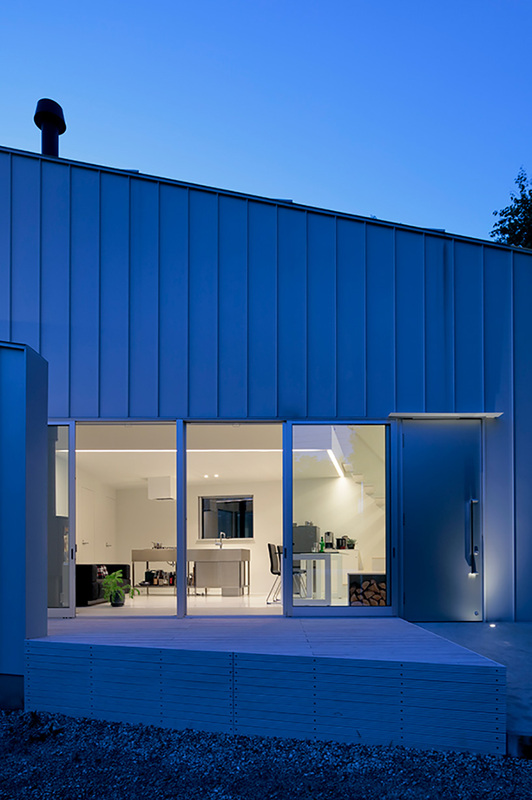 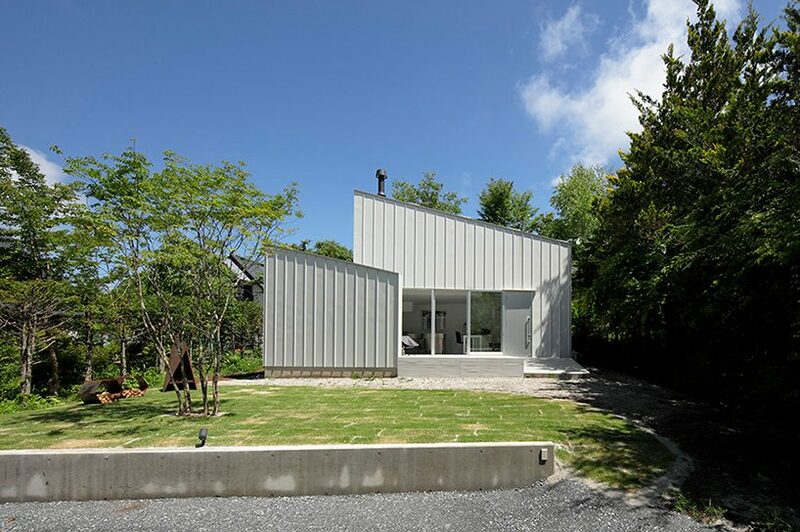 takanori ineyama architects has completed a small weekend residence for a couple that lives between the cities of tokyo and yamanashi, japan. 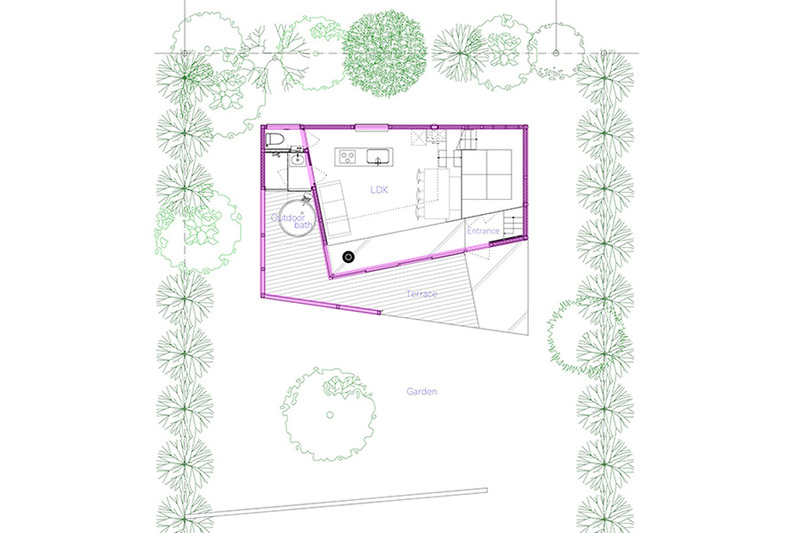 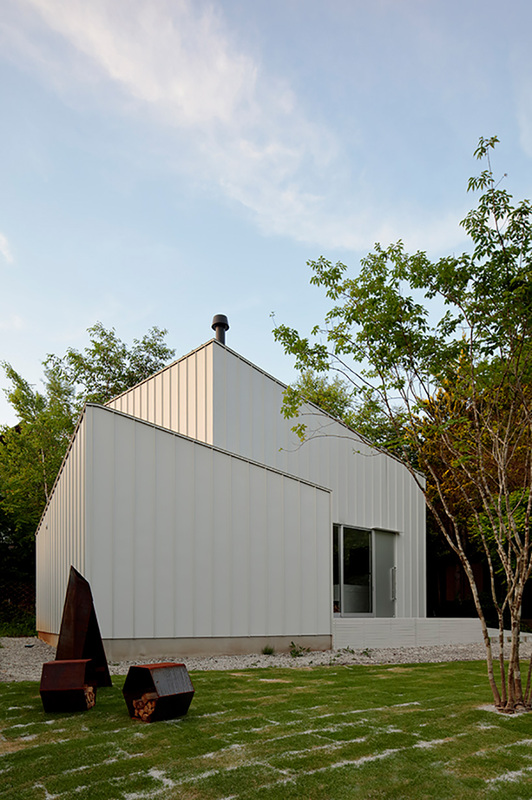 located in a residential area in the city of hokuto, the site is lined with trees throughout its perimeter in order to establish a sense of distance with its surrounding environment. 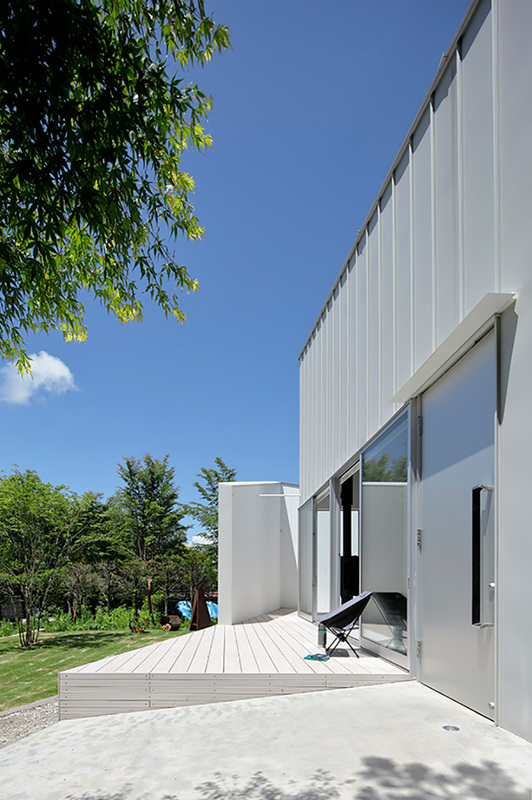 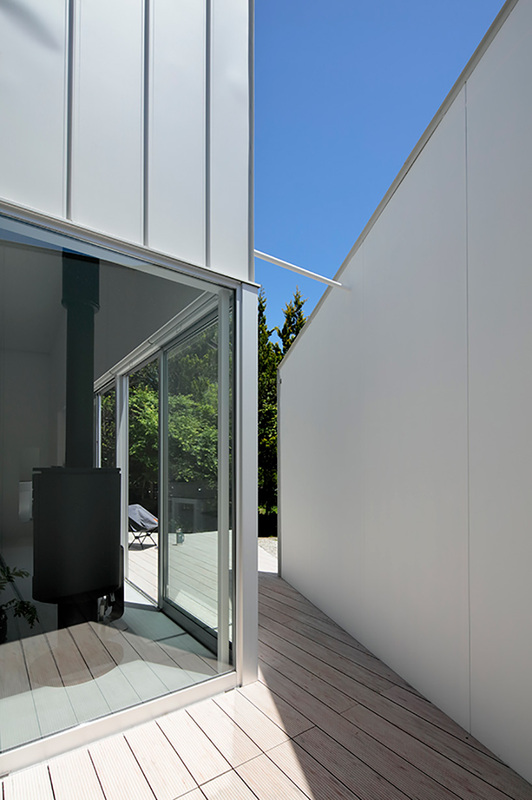 the double-height residence is designed as a single space in which takanori ineyama has packed all everyday activities, including dining, cooking, living, and resting. 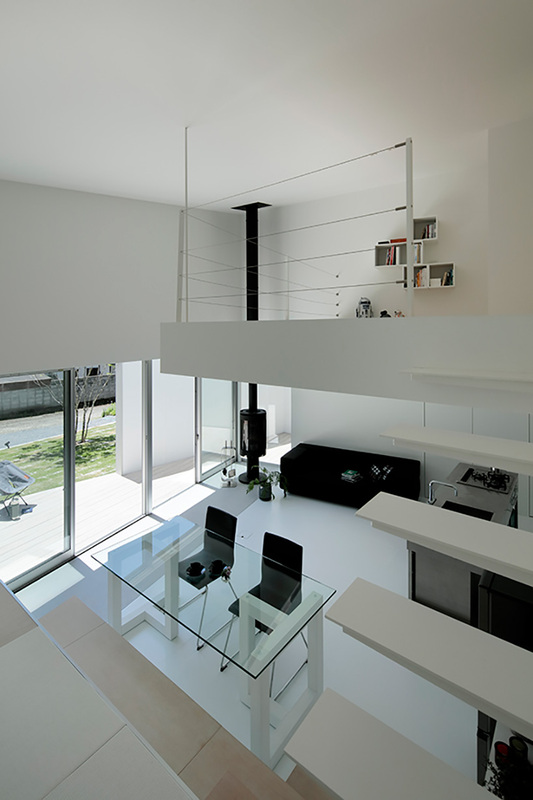 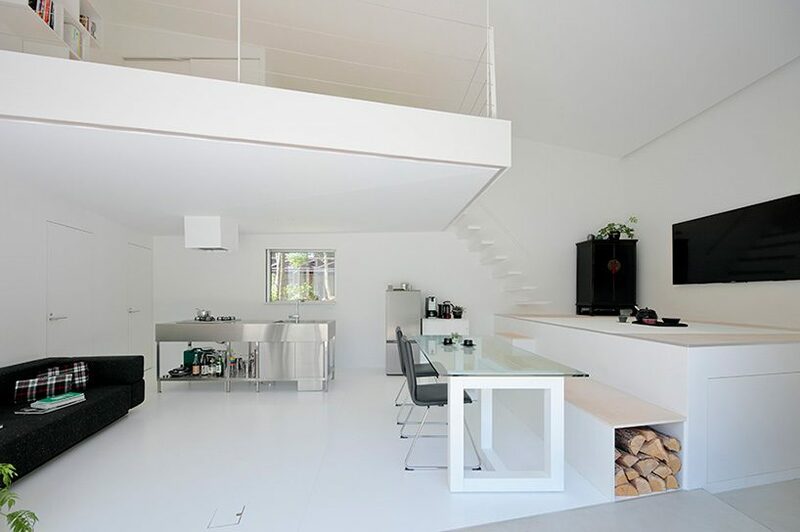 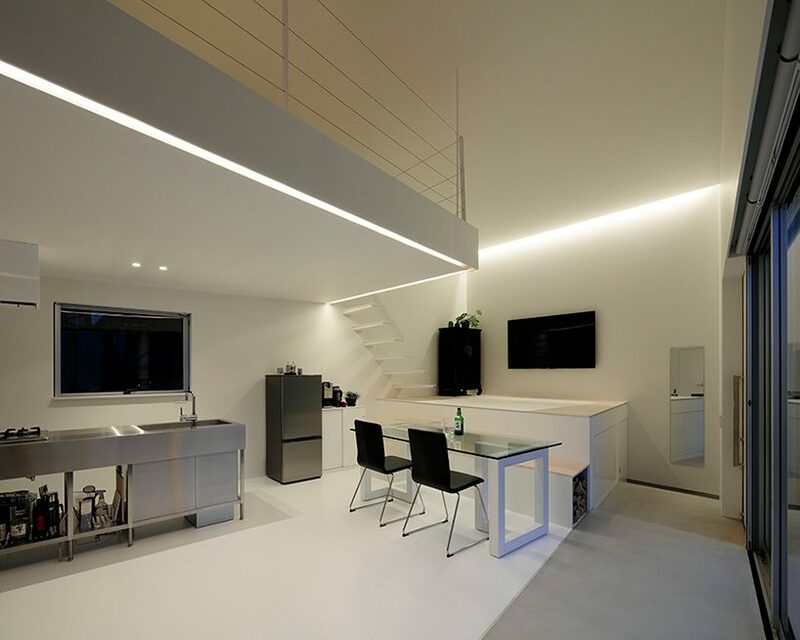 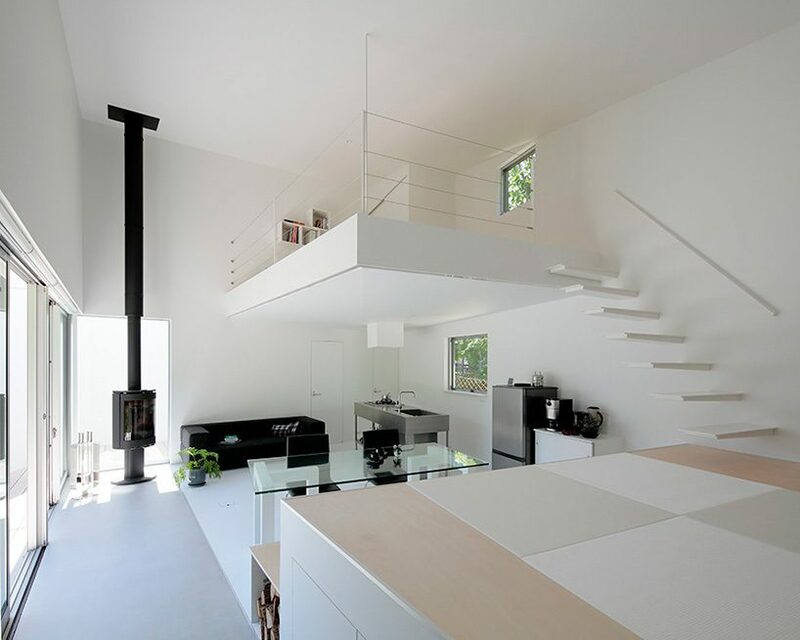 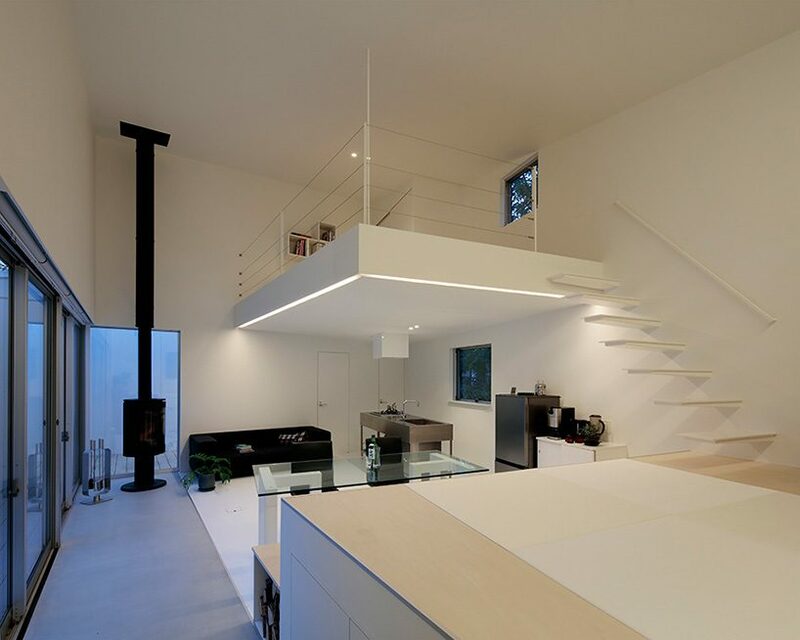 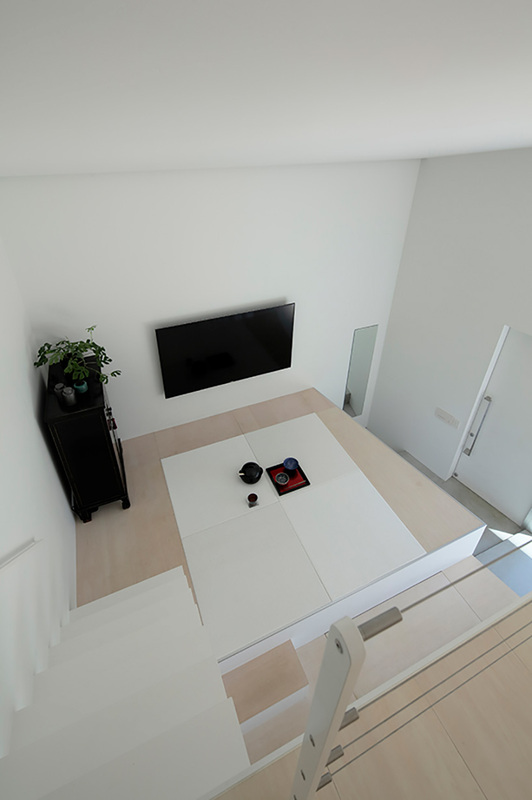 split in two levels that are connected by a staircase, the multifunctional interior contains room for more private uses, such as sleeping, on the overhanging platform, while shared space is located on the ground floor. 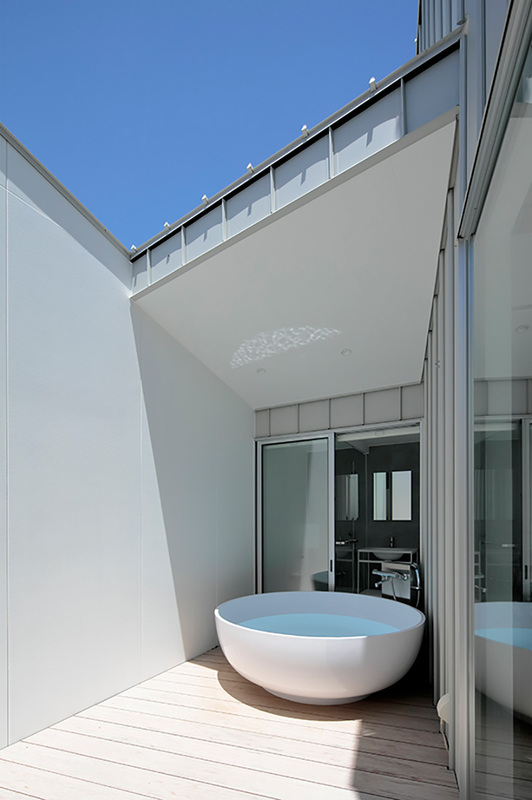 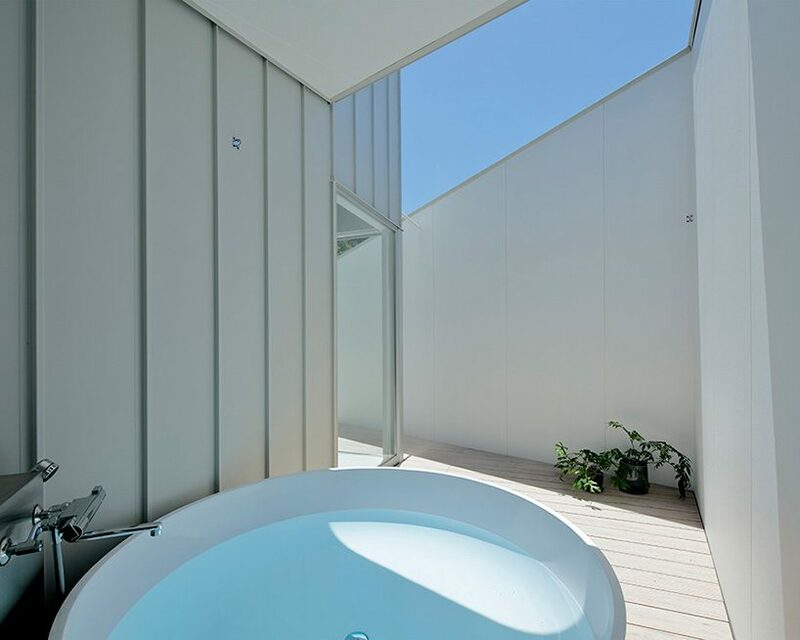 the house is surrounded by a decked terrace and an outdoor bath that ensures privacy through the surrounding tall walls.